Pay-As-You-Go Solar Energy System from Simpa Networks Improves Quality of Life While Reducing Fossil Fuel Consumption. Synapse Product Development engineers are currently helping Simpa Networks realize their idea to bring clean, safe, and sustainable energy services to 20 million people by 2020 through a pay-as-you-go in-home solar energy system. Synapse designed and built the Simpa Regulator™ prototypes currently being tested with customers in Bangalore, India. The Simpa Regulator™ hardware platform enables the Progressive Purchase™ pricing model by metering and adjusting electricity availability in response to the entry of payment codes by customers. The result is a secure, low-cost, intuitive, rugged, and tamper proof device that allows Simpa to test and prove their new pricing model with real customers, giving them valuable new information about customer needs and desires. Nearly 1.6 billion people lack access to electricity, and another one billion lack reliable grid connections. Most rely on traditional fuel such as kerosene for lighting and often need to travel great distances for services such as mobile phone charging. These energy expenditures can consume up to 30% of household income. SunTechnics Energy Systems, one of India’s largest companies dedicated to solar energy today announced that it would adopt its parent company name “Conergy” and be recognized going forward as Conergy Energy Systems. SunTechnics began its Indian operations in 2005 and the name change is in line with the company’s strategy to be recognized as “Conergy” worldwide. Further to this announcement, the Indian entity will now focus largely on small and large scale solar photovoltaic projects. The company operates two core businesses: grid-connect systems (large scale solar parks) and off grid systems (Stand alone SPV Systems). The company’s product portfolio will continue to include Conergy grid-connect components, sourced from its European and North American factories and off-grid systems produced from its Bangalore facility which for the time being will continue to be promoted under the SunTechnics brand. 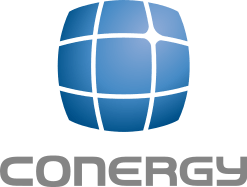 Conergy’s customers in India include giants in the telecom, oil and gas, government nodal agencies and manufacturing sectors, as well as the state and national government units. Solar energy has gained considerable importance in Asia over the past year – and the market will continue to grow rapidly. Industry experts at Bank Sarasin Asia estimate that in 2010 solar PV installations grew by 87% percent globally. In 2010, the most promising market was India, which grew by 166 percent. Bank Sarasin estimates that India recorded 80 MW of newly installed solar capacity last year. Furthermore, they anticipate that the Indian PV market will grow by 76% annually in the period from 2009 to 2015. Conergy is the only solar company worldwide that delivers synchronised solar systems. The system manufacturer produces all components needed for solar installation under one roof. Furthermore, all necessary services related to the solar plants come from one single source. The Conergy System Services deliver the “Total Sleep-easy Package” for the Conergy System Technology. From the planning and financing to the engineering, installation and all the way to the monitoring, maintenance, operational and commercial management and insurance, Conergy offers a service package to cover all possible services for one’s own solar plant. The Conergy System Sales takes Conergy’s premium products and services directly to the customer in nearly 40 different countries. With 24 subsidiaries in 14 countries on four continents, the solar group operates closer to the customer than any other solar company. This way, the solar experts have generated more than half of their sales outside of Germany. The company today employs more than 1,700 people. Since Conergy was founded, it has produced and sold more than 1.5 GW of clean solar energy. More energy than two average nuclear reactors or coal-fuelled power stations can produce. Su-Kam, known for its power backup systems in India, has ventured in the solar space offering complete energy security, through the supply of photovoltaic systems anywhere in India. Su-Kam’s high-performance solar power systems can supply reliable, environment-friendly energy under the most diverse geographic and climatic conditions. Su-Kam offers a diverse range of photovoltaic solutions that can be customized to suit the needs of every customer. They fall under- Off Grid Systems and Grid Tied Systems. Solar Power Conditioning unit (PCU) which is a highly innovative and technologically advanced product from Su-Kam is an integrated system consisting of a solar charge controller, inverter and a Grid charger. It provides the facility to charger the battery bank either through Solar or Grid/DG set. Su-kam is credited with the largest number of patents filed for technology and design and has over 50 patents, 80 Copyrights and 38 trademarks to its credit. With nearly 2 technology patents filed every month, we expect to file an impressive 100 technology patents by the year end. Across various geographies, Su-kam has set-up 50 service centres and built-up a network of over 12000 dealers and distributors worldwide. The company today manufactures a range of around 160 products in 7 state-of-the-art factories in India and Nepal. All our manufacturing facilities combine the latest technologies with best practices and are certified under OHAS – 18001 for operational health and safety. With a nationwide network of offices and channel partners, Su-kam has brought freedom from power problems to millions across India and in 70 countries across the globe. Traditional uses of silver have been in coinage, photography, jewelry, and tableware. Today, with refined techniques of miniaturization, the precious metal‘s properties are being aligned toward better use in the new fields of technological devices. Silver has long been respected for a natural ability to interfere with the chemical bonding of bacterial cells. Besides its high sensitivity to light, silver has the highest properties of electrical and thermal conductivity. These factors serve, today, to give the rare metal definitive use in the new technologies. Expressed as “nanotechnology” or “nanosystems,” radio frequency identification (RFID) tags are made with silver based ink. This process uses, sometimes hidden, but electronically identifiable, identification codes, or antennas, on nearly every kind of product imaginable, from laptops to animal tags, or warehouse items at Wal-Mart‘s. Nano-size embedded electronic components created with nano silver, include connection traces, resistors, capacitors, and inductors, antennas, and shielding nets. The latter points to the role of silver mixed with copper as a shield to electromagnetic or RFI interference occurring from electromagnetic radiation or an electronic device. Plastic or fabric is coated with the silver-copper alloy to reflect EMI from nuclear radiation, as in the case of the workers recently working on the damaged Fukushima Daiichi nuclear plant in Japan. Silver-oxide batteries are used, in the shape of small discs or buttons, in hearing aids and watches. Silver-zinc batteries have been shown to be effective as rechargeable batteries with more run-time than the lithium-ion butteries, and less volatile. But their technology, along with silver- cadmium batteries, is still evolving. Such is the case with silver used in silicon photovoltaic cells. Thin-film solar cells, coated with a paste of nanoparticle silver, have been found to absorb more photons of light then other processes, thereby increasing the efficiency of the solar cell, but not necessarily lowering the expense. Boise City, Iowa, intends to have its $45 million, 10-megawatt photovoltaic power plant completed by 2012. Using silver solar cell technology, based on layers of 50 microns thick monocrystalline silicon, the project is intended to furnish energy for up to 15,000 homes. A different kind of energy-producing technology involves using the heat transfer properties of silver to scald nitrate salt to high degrees of heat. The heat is then transferred to drive steam turbines in electric generators. This setup currently works successfully to provide electricity power in Boulder City, Nevada. All of these “high” technologies involving silver have reached out in specific directions for research and development that are empowered with real and necessary goals. The modern techniques of miniaturization have expanded silver into a fountain of energy. Intersolar India 2011is scheduled to take place at the Bombay exhibition Centre 14-16 December 2011 with 250 exhibitors and 6000 visitors. Since its establishment in 2009, the exhibition and conference have developed into the premier platform for the solar industry in India. Intersolar India, focuses on photovoltaics and solar thermal technology and has quickly established itself among manufacturers, suppliers, distributors and service providers as a vital international industry meeting point.